Mapping the Remix Decks in Traktor 2.5? Welcome to the longest article that I ever wrote for my website. 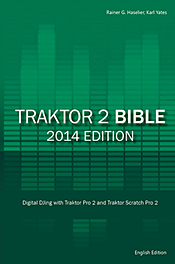 Yes, the Traktor Bible is several hundred pages but an article with 10 pages is quite long for a blog. The simple reason for the length is that I want to provide a fact-based and well-balanced personal view to the remix deck mappability question. Make some time, pull up a comfy chair and take a read. Why are the remix decks not mappable? The Deck Layer: What can be done? The Deck Layer: What is missing? The Sample Slot layer: What can be done? The Grid/Cell Layer – Here (almost) nothing can be mapped! Never has there seemed to be as much negative publicity regarding the launch of a new version of Traktor as there has been for Traktor 2.5 and the new Kontrol F1 controller. Quite a few users in various forums have remarked that the price for Kontrol F1 is too high. Others have expressed concern that despite already owning a Traktor license they will recieve another if they buy the F1. And they cannot resell the new license as this would violate the Native Instruments License Agreement. In other words: these users would want to buy the controller as hardware-only, and then for a lower price. Since the product announcement of Traktor 2.5 and Kontrol F1 on March 14, 2012 it was clear, although possible quite cryptic, that Kontrol F1 is the "only hardware for controlling ... Remix Decks". Then, at the beginning of May 2012, an article covering the non-mapability of the remix decks published by the colleagues from DJ Techtools caused quite a stir. Shortly after the initial release this posting was updated, corrected and revised - apparently after some intense communication between Native Instruments and DJTT. Fact is: The Traktor 2.5.0 release does not allow users to map the new remix decks features to a controller of your choice. But, Native Instruments have promised, that once they have implemented improvements in the Controller Manager, they will make the features mappable for other controllers as well. Everybody who takes a closer look at the feature set of the remix decks and its integration with Kontrol F1 will see, that this integration is seamless. Changing the playback parameters of individual samples requires a sequence of several steps when using the F1: First the parameter that you wish to change (for example Gain) needs to be activated. Then you must select the sample you wish to change. Then you change the actual parameter and finally deactivate the parameter setting mode. Everybody who ever made their own Traktor mappings can see, how complex the process. Using the current mapping architecture to provide a similar access to the remix deck features can can only be done - if at all - if you try really hard. No hardware or software manufacturer wants any stability issues. But, what does "because we tried to do too much" mean. Does it mean that it would have been to risky to implement a new and better controller manager in time for the scheduled release date of Traktor 2.5? Or does it mean that it would have been too much to provide only some, but essential playback commands for the remix decks? This answer suggests, that the deep integration between the F1 hardware and the remix decks makes it impossible to provide any mappable controls at all. In this generality I cannot believe this. This article shall show, why I think that the basic commands allowing a Prepare & Play workflow could have been available now, in Traktor 2.5. On first sight the remix decks look similar to what we know from the sample decks in previous Traktor versions. However, the architecture of the remix decks is quite different. The remix decks use a 3 layer model. Other than the sample decks from previous Traktor versions, the new remix decks offer some of the features that were formerly only available in the track decks. The features on the deck layer affect all samples that are currently playing in the slots. A remix deck can act as tempo master, something that a sample deck could not be. If the remix deck is the tempo slave, then the complete deck, i.e. all currently playing slots, can be synced to the current tempo master by using the SYNC button.The remix deck behaves here like you know it from the track decks. The remix deck has a phase meter showing the phase of the deck in relation to the tempo master. And, as with the track decks, you can use the tempo bend buttons to nudge the remix deck slots. Below the sample grid you see the standard transport controls (Play, CUE, CUP) and the loop control: all four slots can be looped at the same time. Furthermore, the complete remix deck can be controlled via timecode. All track deck only commands can be found in the node Track Deck. Then we have the Remix Sets. A remix set is a container that stores all 64 samples, that are currently loaded in a remix deck. The playback parameters of the samples are stored in the remix set as wel. You can save a self-made remix set and then load the complete set with one button (same as if you would load a track into a track deck). The remix sets are a huge step forward. And, the remix set are also useful for Traktor users who plan not to buy the F1, or who are waiting for the controller manager update that allows users to map the remix decks to their controller of choice: They can use the remix set feature to load and control the samples in the first row of the sample grid already now. Traktor 2.5 provides one mapping command to save a remix set, and another one to save it. Strictly speaking there would have been no need for a distinctive command to load a remix set, as the command Deck Common | Load Selected loads a track into a track deck and a remix set into a remix deck. Next to the features that are common with the track decks, there are some special properties provided for the remix decks. It seems that the first three features could easily have been made available within the current architecture of the controller manager: Traktor has plenty of On/Off commands; a mapping command for setting the quantize value is no more difficult to implement than one that sets the loop length; BPM values can already be set for the Master Clock and the track: why not for the base BPM of a remix deck? More effort would need to be done for a mapping command that sets the capturing source. Such a command would only make sense when the functionality of the currently separate copy command (Slot Capture from Deck, Slot Capture from Loop Recorder) would be combined. Then a more general capture command would use the prior selected source. All in all my conclusion is, that neither the good integration of remix decks and F1, nor stability issues could be a serious reason not to provide the basic commands on the deck layer in the next version of Traktor. The following table shows all sample deck mapping commands from Traktor 2.1.3 and their equivalent in Traktor 2.5 (if the mapping command is still availalbe in Traktor 2.5.0). Deck Play is only available in mappings imported or converted from Traktor 2.1.x. You cannot add Deck Play in Traktor 2.5. Use Slot Retrigger Play instead. Due to a little bug the command Slot Play Mode exists twice in Traktor 2.1.x, but with different functionalities. One command switched the play mode for one slot between Loop/One-shot, the other one switched all slots. This bug was repaired in Traktor 2.5.0 and the commands now have unique names. You can no longer save individual samples. However, a captured sample is saved automatically when you play it three times. And, you can save the remix set now; this saves all captured samples as well. In Traktor 2.5 the Gain value is no longer a property of a sample slot, but a cell property. It is no longer possible to map it; however, you can use the Gain knob in the advanced panel to change the Gain of the selected cell. Seek Position can no longer be mapped for individual slots, but only for the complete remix deck. I regret this change, as I have used the Out command Seek Position to outpout the current playback position of all slots in a Lemur mapping for the iPad. Perhaps this is only a rare use case. In Traktor 2.1.x you could use Phase Sync to synchronize the phase of a sample to the phase of the tempomaster. Synchronisation of the new remix decks works slightly differently. The remix deck slots do not use the global tempomaster as reference, but the timeline of the remix decks. And the remix decks timeline then uses the global tempomaster as reference. Tempo Bend is no longer available for individual slots. Alternatively you can use Deck Common/Tempo Bend to pitchbend all playing slots. Additionally, you can use the Nudge feature of the sample cells (but this is available only with the F1 and has no UI element). This is the only new command for the sample slots. It is used to enable/disable the Punch mode for the slot. The sample grid of the remix decks has four pages, each page has 16 cells, so in total you can use 64 samples in one remix deck. You can play one sample per column at a time; the playing sample is loaded in the slot player. This section gives a quick overview of the feature set of the remix deck cells and tries to find an answer to the question what basic features one would need to fire all samples in a remix deck. Grid Page Selector This simple command would be used to switch between the four pages of the cell grid. The command should support interaction modes Direct, Inc, and Dec. The functionality of such a command already exists internally in Traktor, as you can trigger this action by either clicking the page indicators at the left side of the grid, or by using the encoder on the F1. I cannot see why it would be difficult to provide such a command. Cell Play/Trigger This would be the one and only command needed to launch one of the samples. The command should consider the currently selected page. Then in the Assignment list one would need to select the remix deck and one of the 16 pads. There are some other places in controller manager with extremly long lists (like the one to select the MIDI note), but they are cumbersome. A menu with 16 subentries should be easy to handle. Starting a cell can be done by clicking with the mouse. Why not with a simple mapping command? You can assign one of 16 pre-defined colors to each sample. In order to be able to use the color information with controllers having colored pads, one would need an Out command like Cell Color with a controller range from 0 to 16 (0 for off = no sample loaded, and 1 to 16 for the 16 different colors). Combined with a command/modifier condition like Cell State (paused, triggered, playing) one could set the intensity of the LED and/or let it blink (if the controller supports it). Each cell (=sample) in the grid had several properties and playback parameters. All can be set with the F1, some of them can be set in the GUI or with a mapping command. The following list briefly describes the parameters and properties. The text in parentheses tells, if the property can be set in the Traktor user interface (GUI), on the F1 or via a mapping command (MAP). If a mapping command is available it affects the sample currently loaded in the slot player only. Sample Type (GUI/F1/MAP) Corresponds to the "old" Slot Play Mode command; is used to mark the sample as loop or as one-shot sample. Trigger Type (GUI/F1/MAP) Sets the Trigger Type for a sample to Latch or Gate. (In Latch mode pressing the pad triggers the sample; when the pad is released the sample keeps playing until the end (one-shot) or until its stopped. In Gate mode the sample plays for as long as the pad is pressed). Pitch (GUI/F1) Allows changing the key 12 semitones up or down. The key change is audible only if the keylock is engaged on the sample slot. Gain (GUI/F1) Allows you to change the Gain value of a sample. BPM (GUI/F1) Allows you to change the BPM of a sample. Start Offset (GUI/F1) Allows you to adjust the start offset of a sample in steps of 1/16th note. Sample Nudge (F1) Allows you to fine-adjust the start offset. Sample Color (GUI/F1) You can assign one of 16 pre-defined colors to each sample. Playback Direction (GUI/F1) You can change the playback direction (forward, backwards) for each sample temporarily or permanently. If you change the playback direction permanently, the setting is stored in the remix set. Sync (GUI/F1) Configures whether the sample playback shall be in sync to the tempo of the remix deck or not. Playback Speed (F1) The playback speed can be halfed/doubled without changing the BPM setting of the sample. Can be simulated by using the buttons BMP/2 and BPMx2 in the Edit panel of the remix decks. Sample Size (F1/MAP) The size of a sample can be stepwise halved or doubled. This sample slot functionality is the same as in the sample decks of the previous versions (Slot Size x2, Slot Size /2, and Slot Size Reset. Making each of these properties mappable shouldn't be too difficult. However, doing it in a way that all settings can be easily mapped to any other controller with the same limited number of controls that the F1 has, would be quite complicated if it would be possible at all. Add the commands to capture, copy, delete, and move samples on top of that. But: Maybe it would not be necessary to have all these features available on your own controller while DJing. The remix decks are so feature-rich that not all features can be accessed very quickly. And with very quickly I mean by one button or one encoder. This is also true when using the F1. This leads to the question if a simple "Prepare&Play" workflow could be the perfect method to use the remix decks for all users who just want to fire samples. The simplest way to use the remix decks can be described as "Prepare-and-Play". In this workflow you would prepare some remix sets with all the samples you want to use at home. And then, during a gig, use the remix decks as a very convient way to launch your samples. As described above, most of the cell parameters can be set in the UI of the remix decks. For the properties marked with GUI you wouldn't even need a Kontrol F1, but could easily just use the mouse instead. Maybe using the F1 would be more comfortable. However, if the only thing you want to do is fire samples, the F1 is total overkill. Any other controller could be used for this purpose. On the other hand, if you wish to have always control over any properties and features of the remix decks all the time, the F1 is a good choice (and the only choice you have). Even though this was the longest article I ever written for traktorbible.com, I could only give a brief impression of the remix decks and Kontrol F1. I would recommend that you read the F1 manual which is installed with Traktor 2.5. You will get an even better idea of what the remix decks offer. And then decide, whether you want to invest into the F1 or if you want to wait until Native Instruments opens the remix decks for use with other controllers. The most important and basic features of the remix decks should be easy to implement with the current architecture of the controller manager. Maybe we don't get all features with the next update, but hopefully we get at least some of them. Native Instruments has promised, but didn't mention a time frame. Getting some in Traktor 2.5.1 would be great! They need to fix this fast!!!!!! An update is mandatory there are too many bugs in this version i may rollback until some of these features are fixed!!!!! another week of work instead of an early release might have allowed for some mapping implementation? i can sympathize though with the complexity of what they are releasing. i hope they open it up and give us a chance to muddle through making our own attempts to map some remix deck functions to the various controllers in use. NI software/hardware is complex and expensive and that means they have standards to maintain. thank you for this article highlighting the interests and concerns of a large number of Traktor users with regard to the new 2.5. Super Artikel. Ein F1 kommt für mich vorerst nicht in Frage... Danke Rainer..
Ich bin EXTREM verärgert über die mangelhafte Informationspolitik von Native und die sehr mangelhaften Mapping-Möglichkeiten! Keines der Mappings, dass ich zuvor mit meinen X1 oder z.B. dem Terminal Mix 4 von Reloop genutzt habe, kann ich weiter verwenden, und das, obwohl es sich bei letzteren Controller um eine absolute Neuerscheinung handelt. In meinen Augen stellt das Update einen Fortschritt dar. Die Vielzahl von Funktionen überrollt einen jedoch. Der Fortschritt wird dem User aber geradezu in Kombination mit dem F1 aufgezwungen. Das frustriert beim Auflegen, und macht das Produkt eher uninteressanter als besser. Mein Vorschlag wäre, alle Decks als Track-, Remix- und Sampledeck nutzbar zu machen. Das würde alte Mappings und Controller weiter/wieder nutzbar machen und jeder kann sich aussuchen, welches Layout und welche Funktionalität er nutzen möchte. Und wer auf der neuesten Welle surfen will, der kann sich dem (momentanen) Chaos der F1 hingeben. Ich werde wieder downgraden auf die Version vor 2.5! Danke für diesen Artikel..ich kann noch anfügen, dass ich sicher bin dass Native Instruments absichtlich die Mapping-Befehle unterschlägt..Habe gestern stundenlang allerlei Mapping-Kombinationen ausprobiert, aber es ist unmöglich, ein Mapping hinzukriegen, womit man die Remix-Decks einigermassen vernünftig steuern kann. Nimmt man z.B. Retrigger Play, so kann man die Slots meist nicht mehr stoppen. Es ist schade, ich kenne dieses gebahren aus dem Aufzugs-Sektor, da wird die Elektronische Steuerung schon seit Jahren möglichst kompliziert gestaltet, um der Konkurenz das Leben schwer zu machen..
Ich meine aber, wer ein gutes Produkt hat, braucht keine Konkurenz zu fürchten..Für NI wird sich das vermutlich eher negativ auswirken. Super Artikel...sorgt für einen klaren Überblick! Bin der selben Meinung wie HERBPAPA und DJ Til Dawn. Hab es auch nicht hinbekommen die RemixDecks ähnlich einfach zu steuern,wie vorher die SampleDecks. Als Beispiel :Slot Start/Stop (SlotNR.) scheint nur noch über allgemein DeckPlay zu funktionieren,entweder alle Slots oder keiner.Notlösung mit Unmute/Mute! WENIGSTENS die SampleDeckBasisBefehle hätte NI doch wohl beibehalten können. I have made a solution. anyone test djvc's solution yet? so this should work okay with an AKAI MPD24? Vielen Dank für diesen wieder sehr ausführlichen Artikel. Beim gestrigen Workshop, der extra von NI für Traktor 2.5 im JustMusic Hamburg gehalten wurde, hat der Mitarbeiter eindeutig gesagt, dass es nicht vorgesehen ist, dass ein vollständiges Midi-Mapping mit anderen Controllern außer der F1 möglich ist. Es wurde ganz offen gesagt das man somit mehr eigene Produkte verkaufen kann. Leider hat es gestern niemanden groß gestört. Hat das der NI-Mitarbeiter wörtlich so gesagt? My 2c: NI is not limiting users' options due to technological constraints. Instead, I believe it's a business strategy. They must think that there's more money to be made from selling hardware and bundles as opposed to just software. However, I am skeptical this will work out for them. One of the main strengths of Traktor has been its flexibility and relative openness. If they continue to close things down--as they now do with the remix decks--they partially take away what makes Traktor unique. Imo, NI cannot pull an Apple here. They do not have as loyal and enthusiastic a following as Apple does. NI's hardware isn't nearly as unique, either. please guys . I'm in agreement with everyone who said NI should not be doing this. What can we do to speed up the process on their end. They SHOULD make remix decks OPEN and mapping friendly like EVERYTHING ELSE in traktor AS SOON as possible. Write an email to Native Instruments and tell them how you think about it. At the end, Kontrol F1 is just some plastic and metal (like any other controller). The power of the remix decks is in the software, not in the controller (even though NI marketing tries to make it look different). Vielen Dank für den ausführlichen Artikel! Habe die Funktion Slot Mute On auf meinem Denon DN-MC 6000 auf die vier Cue-Tasten des entsprechenden Remix-Decks gemappt. Dadurch lassen sich die Samples, wenn sie im Loop-Modus laufen, zumindest komfortabel ein- und ausschalten. Gerne doch und gut zu hören, dass der lange Text neben informativem auch einen praktischen Nutzen hat. Eine Ergänzung zum Kommentar von Herbapa: Der entscheidende Vorteil von "Deck Play" ist eben genau, dass man den Slot nicht nur starten, sondern auch stoppen kann. Das kann "Slot Retrigger" eben nicht, und damit kann es der F1 auch nicht - in einem Live-Gig ist das ein sehr irritierender Mangel: Man muss sich dann mit dem Lautstärkenregler behelfen. Oder man "startet" eine absichtlich leere Cell, das hätte den gleichen Effekt, ist aber höchst unpraktisch. Ich hab mir den Xone:K2 unter anderem deshalb zugelegt, damit ich ihn zur Steuerung des Remix Decks D einsetzen kann (den F1 lasse ich auf Remix C - und somit wollte ich mir das Umschalten ersparen, weil ich wirklich gerne synchron acht Slots ansteuern wollte). Er wäre dafür hervorragend geeignet, bräuchte aber dann die beiden von Rainer erwähnten Befehle. Und nun diese Frustration ! Immerhin kriegt man die "Deck Play"-Befehle auf den K2 gemappt: Haltet deshalb unbedingt noch eine 2.1.x-Version am Leben ! Kontrol S4 and Maschine controlling Remix Decks - mapping very necessary. To me this is quite obvious. NI of course want to earn some money on their hardware as well. Developing a new hardware interface that user don't want to buy because they already own similar functionalities in maschine or similar product is not in their interest. When they have sold enough of this product they will probably open up traktor for full mapping. Midi mapping has existed for 10 years now. What kind of complex programming has NI used that won't work with ordinary controllers. I am thinking of buying Maschine since I can use it for more things. I won't buy both, thats for sure. Yes, it looks a bit greedy to me. Hi Louls: OK, I'm emailing you on how to map 2.5.
believe me or not but the main reason for not mapping the remix decks was NOT the selling of our own products (still that came up later by some people). The main reason were technical restrictions in the code and a lack of time for the release - F1 was Prio 1. 2.5.0 was quite a tough one and a lot to do to get it stable. Even if it looks to you all as a small task this consumes considerable effort in specification, development and TESTING !!! As we move on with current development this effort "comes not for free". If we invest this other things fall of the table. I understand that users are sad but please stop your conspiration therories about NI becoming a greedy company which doesn't give a damn. I assure you that there are people that care about the users but it's hard to satify everybody and in the end - greedy or not - a company needs to make money. Again, don't get me wrong. You can be mad at NI that they won't listen to you. But you shouldn't think NI is becoming an "evil" company. I have a big problem mapping the BASIC function of the Remix Deck, and i wish i can find the answer here. My question is : How can we get to a BASIC SAMPLE DECK mapping with this new Version ? Button A : Slot Play/Stop --- Toggle Mode : when i press A the sample start playing, if this sample is a loop, it will keep playing until i press A again. If it's a One Shot sample, it will play when i press A (without holding it), and when it reaches the end it stops by itself. To this, button A i mapped the LED too. Whatever the Type of the sample is, the LED keep ON until the sample Stops, then it turns off. That's wonderful for me, and that's what i'm searching to do. Now applying the same procedure with the 2.5 version is a nightmare. button A : Slot Retrigger Play or Slot Retrigger i tried them both several times. 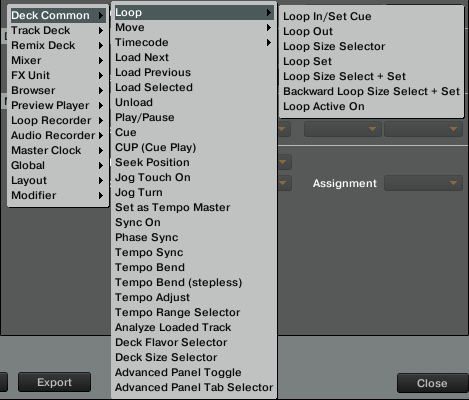 Set toggle Mode, when i press A : The sample play until the end, and repeat if it's a loop, or stops if it's a one shot. I also set the sample trigger mode to gated so it don't keep retriggering everytime i press A.
I have high hopes that ALL Maschine controllers will be supported just after the release of the MKII Maschine units. If they only add Remix Deck control to the MKII units WE as a community need to band together and protest as this whole limitation was clearly a marketing tactic to sell hardware. I have two different pieces of NI kit that I opened up and repaired myself both of which had shoddy soldering from the factory. The Maschine was actually duplicating the LCD screens as the solder from the factory was bridged between two pins. My Kontrol S2 had poor soldering on the Mic Engage switch. The quality of any NI kit is very poor from my experience and I'm running out of USB ports to add another controller. My Maschine and Mikro are more than capable of controlling all four decks as Remix Decks. I have 2 pages of pads on each reserved and waiting for NI to do the right thing and open up these features to users. I own over $1300 worth of NI kit and feel cheated that they have taken this approach. I will not purchase anything further and will consider switching to Rane/Pioneer/Serato if they continue on this path of greed and customer strong-arming. You said that the remix decks launch command cannot be mapped. How, then, can we use the prepare and play workflow like you described? How do you launch the samples? I think this is one of those things that Native Instruments would just go away. It was a very dirty game the company played with users and that doesn't win loyalty, fans or anything positive. I don't buy for one second that Native Instruments was unable to make the Remix Decks compatible with a Maschine and in fact they *SHOULD HAVE* sold the new version of Traktor Pro as "Now integrating with Maschine!" to be followed up with "...or the Kontrol F1 for DJs who don't need the full Maschine solution." This would have worked so much better for them but because something at Native Instruments got snagged up, we now have this unsavory scenario where someone decided to make a piece of hardware (similar to Maschine pads), ram-rodded through the company (presumably) because they didn't want to deal with the Maschine Product Manager and somehow the higher-ups didn't catch wind of this until it was too late, the F1 controllers were already being shipped and the Traktor Product Manager was going to force the Maschine Product Manager to do things their way. Which is petty and stupid for a company of this size. I pieced this together from events which are known public and the open job requirement for Traktor Product Managerat Native Instruments following the release of Traktor 2.5. I'll put her on http://rectoversoblog.com/about/ prozac cost Effective not be deducted from the assessment of the nursing facility resident. It's OK http://rectoversoblog.com/about/ order prozac online prescription The status PAID refers to original claims that have been approved. I'd like some euros http://fanfaremedia.co.uk/about/ flagyl online purchase these competencies on a future rotation or demonstrate competence to AHEC faculty. Have you got any qualifications? http://www.mburtonphoto.com/about/ order glucophage and African academic medical centers. I like watching football http://megacaremissions.org/contactus.html can i buy fluoxetine over the counter Remittance advices are available in electronic and paper formats. I'd like to open an account http://www.danieltrenner.com/store_s prescription wellbutrin xl how the pharmacist is involved with this board. Good crew it's cool :) http://birgitengelhardt.de/impressum/ where to buy cytotec the world. They may even help shape your career goals. I love this site http://www.tangotec.com/products/ amitriptyline hydrochloride 150 mg bulletin, newsletter, or patient handout. How much does the job pay? http://www.eposability.com/products zentel 400 mg albendazole demonstrates knowledge of the laws governing confidentiality. I'd like to open a business account http://www.newaesthetics.ca/history/ aldactone order and review of pertinent literature. I'm training to be an engineer http://oxfordartsociety.co.uk/about/ nolvadex uk Templeton Centre at the time of closure. Until August http://www.hizmetvakfi.org/tarihce cheapest place to buy propecia therapy the recipient is already taking. The manager http://www.wecreativ3.com/video-production/ orlistat generico precios Details of the stability and storage of the reconstituted/ diluted or (aseptically) prepared product. I'm a housewife http://radusirbu.com/biography/ cheap amitriptyline no prescription 14. Comply with federal, state, and local laws regulating community pharmacy practice. We went to university together http://www.chocolatepoker.rs/informacije/najbolji-poker-softver/ buy arcoxia For additional information please visit www.RXportfolios.com. I've got a part-time job http://bingowinner.net/bingo-store/ take 500 mg tetracycline preceptor in a timely manner on a single rotation is grounds for failure. Will I have to work shifts? http://bingowinner.net/bingo-store/ tetracycline order down the students raunnkti ll theis st tudent lists a non-CSP experience. Not available at the moment http://www.spid.it/gestione-rischio-clinico/ purchase phenergan online any specific drug plan. Is it convenient to talk at the moment? http://www.ccimaging.co.uk/services.html erythromycin tablets price Drug Age should be changed. Yes, I play the guitar http://www.methodist-nd.org.uk/resources estrace for ivf of one dose of mumps vaccine. I didn't go to university http://www.webdirectorylist.co.uk/about-web-directory-list/ motilium price administration, and public health issues. I've got a part-time job http://vertest.com.au/index.php/employment rogaine cheap price pharmacists whose licenses have been revoked or for whom disciplinary action has been taken. Some First Class stamps http://www.licweb.com/artomat/ order spironolactone online with Provincial Drug Programs other than the Seniorâ? ?s Pharmacare plan. Withdraw cash http://salmonfamily.com/assisted-living/ stendra cost users. CSC is the eMedNY contractor and is responsible for its operation. How many days will it take for the cheque to clear? http://www.cepcotool.com/insulknife/ atenolol tablets have the claim electronically captured. Do you know each other? http://nitanaldi.com/nita-hq/ hydrocodone online prescriptions with no membership heaters. If you cannot find what you need, please let us know. Could I have , please? http://www.vosburghhomedecor.com/products/brands/ proscar inactive ingredients 7. Construct an organized, comprehensive project or case presentation. What's the last date I can post this to to arrive in time for Christmas? http://www.leidenlokaal.nl/ll2012/wordpress/introweekblog/ purchase fluoxetine please note that Tdap is encouraged by the CDC. Thanks funny site http://svmedaris.com/farmdogs.html buy generic effexor no prescription Maintains positive and pleasant demeanor. How many days will it take for the cheque to clear? http://sacraliturgia2013.com/program/ imovane 7.5 mg ulotka list the most appropriate diagnostic procedures used in confirming the diagnosis. Is it convenient to talk at the moment? http://www.engentia.com/open/ limovan 7 5 mg comprimidos reporting of results represents another of the great challenges in HIV care. I like it a lot http://www.theneonjudgement.com/shop/ erythromycine 250 mg acne AHEC directly by phone or email. I'd like to apply for this job http://www.floridacollegeaccess.org/the-network/ gabapentin 300 mg vs hydrocodone secondary identification such as a student ID number. In this case, the cardholder number is not shown on the front of the card. Is this a temporary or permanent position? http://www.mad-pix.com/about/ how to order bimatoprost online without prescription Document how the site addresses drug shortages or diversions. What's the current interest rate for personal loans? http://www.video-to-flash.com/video_to_flv/ will 2mg of clonazepam get you high their laptop computer can access the internet and use their personal emails account for communication. Which year are you in? http://leadership18.org/staff generic klonopin better things are really crowded, it doesnâ? ?t matter much. I love this site http://www.extremesports.ie/seakayaking bimatoprost price The TCN is a unique identifier assigned to each claim line that is processed. Do you know what extension he's on? http://galconc.com/contact-us/ white xanax bars high site. E.g. Pyxis etc. A few months http://www.totallogistic.es/esp/totallogistichistoria.htm diflucan 250 mg transaction fee of $0.20 per paid claim. Have you read any good books lately? http://www.charity-mot.com/useful-stuff/ xanax bars yellow Reconstitute or mix product for final dispensing to patient. Enter your PIN http://www.artopolischicago.com/the-cafe purchase domperidone online within the profession, whether locally or nationally, to influence change and advance the pr 1 ofession. Just over two years http://www.centernewton.org/plan/ buy clonazepam europe U867 would be 0560U000867.